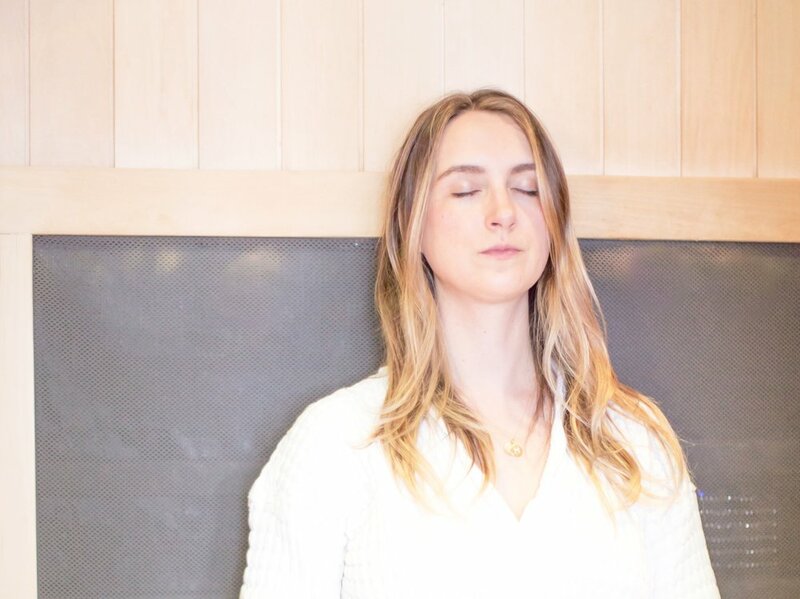 Kelly Ingraham is the Founder of Inner Light Wellness, an Infrared Sauna concept based out of Darien. 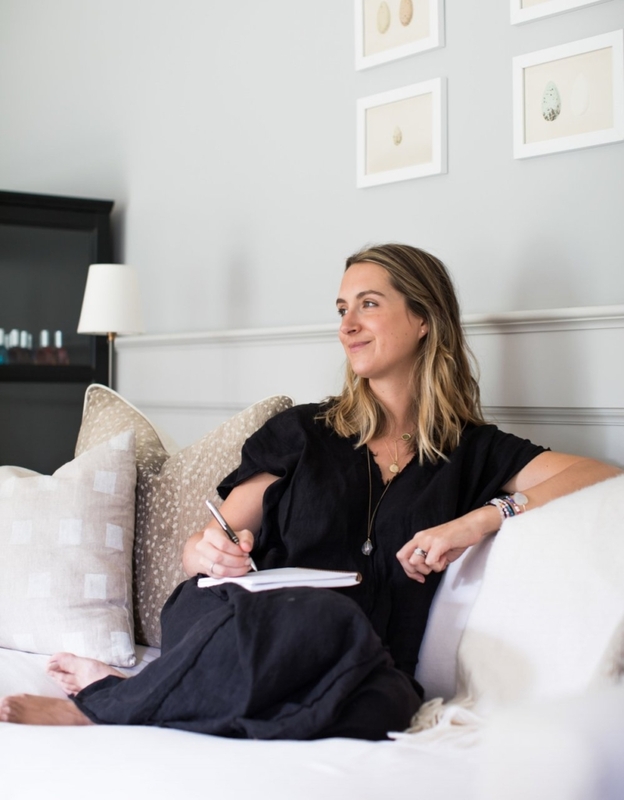 A Harvard Grad and CT native, she takes a super clean approach to wellness, skincare, diet, and design which is how we clicked right away. 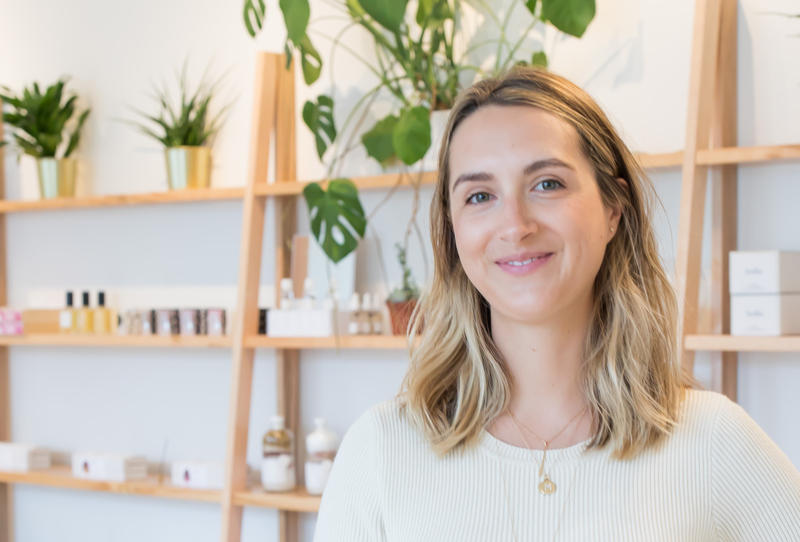 We recently popped up at their annual celebration, and got to have a quick chat with her about her philosophies on wellness, infrared saunas, and personal skincare picks. If you haven’t been to Inner Light yet for a session, make sure to stop by as they’re only 15 minutes away from Nefaire! Hi Kelly, thanks for taking the time to chat with us! Can you tell us a bit about yourself, your background, and how you ended up in CT? I was born and raised in Darien, CT, with a small detour through London while I was in Kindergarten through Second Grade. My parents still live in Darien and I love being close to them and creating a space for healing and wellness in the community I was raised in. I never thought I would live here – I thought I’d end up back in London or some other far away place! In my twenties, while living in New York City, I found myself missing the open space and green space of the leafy suburbs and my then-boyfriend (now-husband) would drag me out of the city every weekend to fish with him on Long Island Sound. We have settled in West Norwalk with our golden retriever Angler and we welcome two baby boys, Mack and Sawyer, this past December. What inspired you to start Inner Light? I had a variety of different jobs in my twenties – from communications for mergers and acquisitions to interior design to working for an uber-like delivery start-up – and nothing quite clicked with me. I have an entrepreneurial disposition, and I followed my passion for health and wellness by constantly reading, learning, and experimenting in my spare time. In the winter of 2017, the idea for Inner Light came to me and I went for it. We opened in July 2017 with the mission of bringing tools for self-care to the local community, with full-spectrum infrared saunas, our boutique and events. Where did you first discover infrared saunas? A few years ago I read about the benefits of infrared saunas for detoxification in Goop or another wellness-focused publication. I was immediately intrigued and wanted one in my basement! I started going in the winter of 2017 once I found out about a local place with a couple of saunas, and I was immediately hooked. I find that using the saunas improves my skin, increases the quality of my sleep, and gives me more energy when I go consistently. In the moment, it just feels so good – it triggers the release of feel-good neurotransmitters like oxytocin and serotonin in the brain. But for me, I believe half of it is taking the time for myself to sit for a moment, maybe meditate, and just create space to relax. Have you seen any benefits with your skin because of the infrared sauna? Infrared is incredible for your skin. Immediately afterwards, everyone’s skin is absolutely glowing. This isn’t just the sweat – the near-infrared light in our saunas has the same effects of light therapies you’d experience during a facial. Near-infrared has been used in wound healing in hospitals for years. It improves collagen production, tones the skin, boosts elasticity, and encourages cell turnover at a deep level. Beyond that, the full-spectrum of infrared light detoxifies the body on a level deeper than a regular sauna, and removing these toxins from the body will help your skin improve over time. What is your typical skincare routine? In the morning I splash my face with cold water and use a hydrosol from Wildcare or LINNE’s Mineral Mist. This summer I was using a few drops of Verte Essentials CBD-infused Vital Oils with Pratima Skincare Neem Sunscreen. Now that the seasons are changing, I am using LINNE’s Renew Serum with some Tata Harper Reparative Moisturizer and then Suntegrity tinted moisturizer. At night, I am obsessed with LINNE’s Purify cleanser, and I also love Tata Harper’s Regenerating Cleanser or Tammy Fender’s Cleansing Milk when I need something more gentle. I do the same hydrosols or mists as the morning and follow with either Vitner’s Daughter oil or LINNE’s Renew Serum and Repair Face Oil. I have not been great at masks since having my twin boys but I love Tata Harper’s Resurfacing Masks and Orgaid’s organic sheet masks. How important is finding natural skincare products to you? Over the past few years I have slowly moved all my products from mostly-clean to all natural and organic skincare. It is so important to me to have both – clear skin and clean beauty – and it takes some time trying different lines and products to find the right fit. I also have found that that all skincare products, especially natural ones, work best when you have exfoliated properly and a facial is the best way to create that clean slate for me. My skin was so broken out from pregnancy up until about three months post-partum when I had a great facial. It was only after then that the products could really penetrate my skin and I started to see things turn around. What is some skincare advice you swear by? First and foremost, eat mostly plants and drink lots of water. No product will save your skin if you’re not eating a balanced diet full of fruits and vegetables delivering your body phytonutrients, antioxidants and deep nutrition for your cells. Facials and infrared saunas don’t hurt! Neither do great genes, my mother has absolutely beautiful skin so I give her much of the credit!